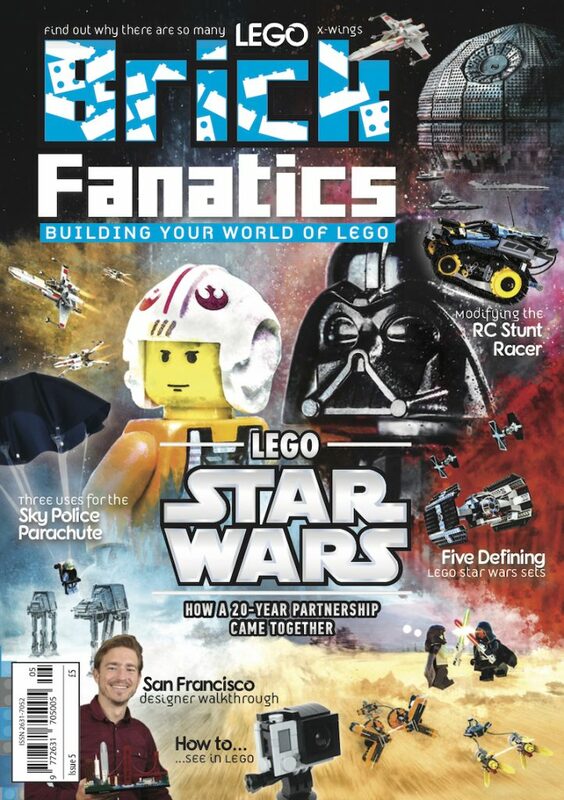 The latest issue of Blocks magazine gets ready for Star Wars: The Last Jedi by building LEGO BB-8 with special assistance from the real life droid. Blocks magazine is on shop shelves today, covering all things Star Wars in the latest issue, celebrating both the release of The Last Jedi and 40 years of the beloved saga. The Force filled features kick off with an exclusive interview with Matthew Denton, who is part of the Star Wars creature shop and works on bringing BB-8 to life. With help from his real, working BB-8, he constructs the LEGO version while talking to Blocks about all manner of behind the scenes stories and his love of LEGO Technic. In the spirit of Star Wars, that is just the first interview a trilogy this month – Blocks also speaks to top LEGO designers Jens Kronvold Frederiksen and Jakob Liesenfeld, who explain the process of creating those delightful LEGO Star Wars advent calendars that fans enjoy throughout December. Supporting artist Tyrone Love rounds out the three interviews, sharing stories from his work on Star Wars soundstages portraying Stormtroopers and Resistance troopers, as well as his hobby collecting LEGO sets. As well as looking at the current crop of Star Wars films, Blocks looks back to where it all started. A group of builders from around the world have come together to tell the story of A New Hope – or just Star Wars, for the purists – in 40 scenes to celebrate the fortieth anniversary of the original film. It is inspirational to see how these iconic movie moments have been recreated by talented AFOLs. Beyond reviewing the latest LEGO Star Wars sets, the Blocks team also check out The LEGO NINJAGO Movie Video Game and run down the most appealing LEGO sets this Christmas shopping season. In Technique, there is a demonstration of how an easily overlooked wall recess can pack extra detail into a build. As if that was not enough, LEGO owner Kjeld Kirk Kristiansen sits down for an exclusive Q&A, discussing the incredible growth of the company and the continued family ownership – no LEGO fan should miss hearing from the guy in charge. To avoiding having to set the co-ordinates in the navicomputer and make the jump to hyperspace every month, get Blocks magazine delivered to your door ahead of its release in shops. Christmas gift subscription packages are available at www.blocksmag.com.